I’m tired. The STAAR test is 54 days away, and it’s already haunting my waking and sleeping hours. This morning, I decided to treat myself to Starbucks. I set my alarm 15 minutes earlier than usual, hurried myself along as I got ready, and dashed through the drive through. I couldn’t have been more excited. A chilly morning, a long week ahead, but I had my favorite drink in hand. Setting up my classroom, I placed my keys, coffee and computer on the projector cart. Opening my laptop to log in, I tilted the screen directly into my three-quarters-still-full, steaming hot caramel macchiato. As the coffee crashed to the floor, dangerously close to all the cords and wires on the projector cart, I stared in disbelief. It was small, silly and stupid, but I felt totally defeated. Perhaps not unlike you are feeling right now. I know how hard you’ve been trying to get your attitude together and apply yourself in class. I’ve seen you make an earnest effort to be your best. But today, in the cafeteria, a minor slip. You were talking to Lincoln when you were supposed to be walking in silently. 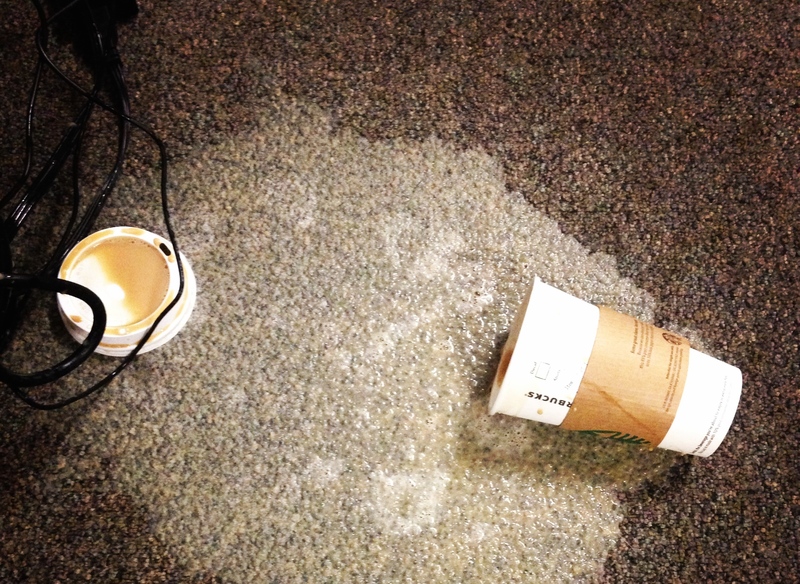 When Mr. Bain corrected you, I’m guessing it felt like your coffee had hit the floor. The extra effort, the promise of a good day, splat. Ruined. The STAAR test is 54 days away. We can persevere. We will continue to put in the extra effort, get up a little earlier, work a little harder and keep the faith. Don’t be discouraged or lose heart. This entry was tagged education, encouragement, humor, mentorship, perseverance, standardized testing. Bookmark the permalink.